This focused presentation of works by Edward and Nancy Kienholz from 1982 to 1992 demonstrates the artists’ exploration of the representation of women in a contemporary, media-saturated society. 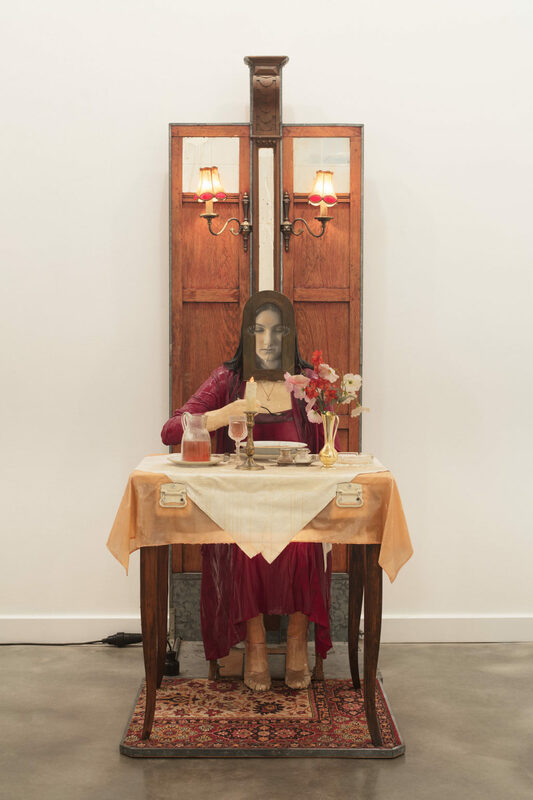 Encompassing a series of found-object tableaux that incorporate photography, television screens, and mirrors, the exhibition is anchored by a major work from ICA Miami’s permanent collection, The Soup Course at the She-She Café (1982). 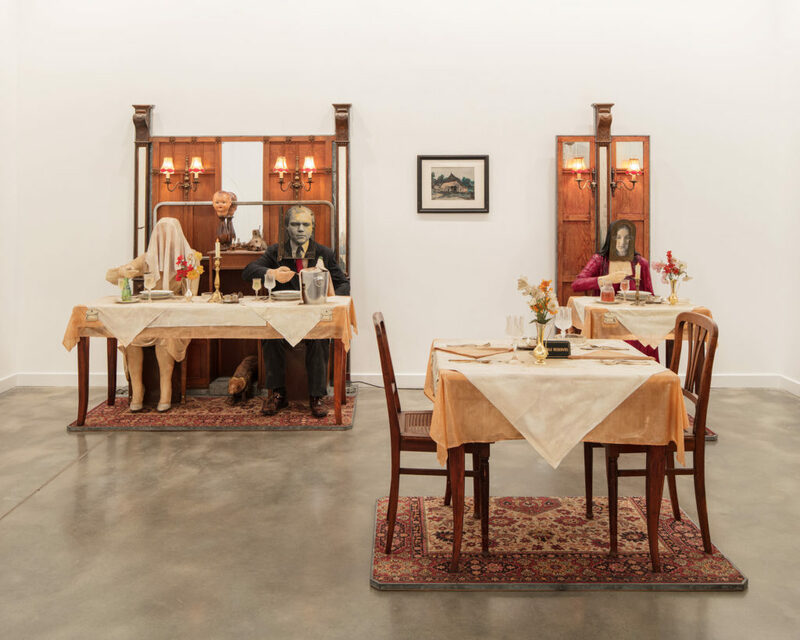 The Kienholz’s elaborate found-object tableaux and assemblages famously scrutinize American society, addressing issues surrounding war, racism, and working-class culture. 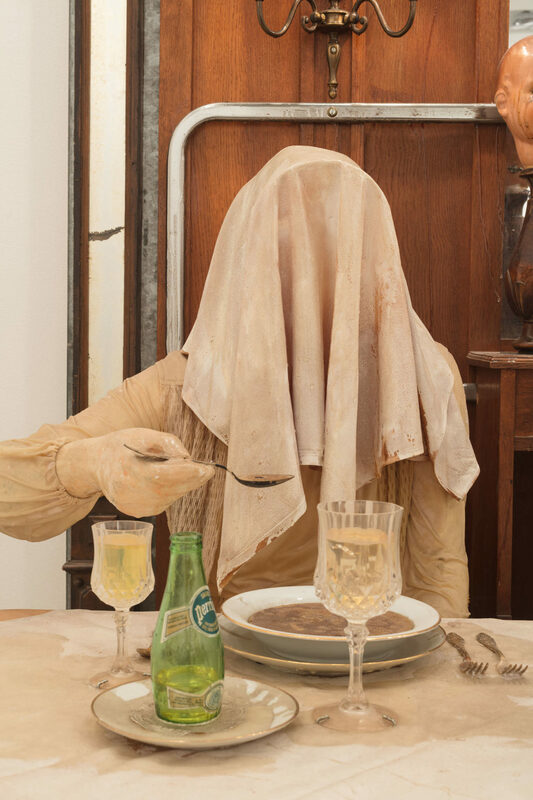 The first project the artists collaborated on was “The Kienholz Women” (1972–early 1980s), a series of tableaux featuring female subjects performing functions that define them in relation to men—as wife, lover, widow, mother, or daughter—that raise questions about female agency. At a variety of scales, the works on view mirror how the image of women is shaped through a male gaze, and how mainstream media disseminates these representations. Edward and Nancy Kienholz, The Soup Course at the She-She Cafe, 1982. Mixed media. Permanent Collection, Institute of Contemporary Art, Miami. Gift of Irma and Norman Braman. Edward and Nancy Kienholz, The Soup Course at the She-She Cafe, detail, 1982. Mixed media. Permanent Collection, Institute of Contemporary Art, Miami. Gift of Irma and Norman Braman.